After breakfast at our hotel, we drove up the coast to St. Ives, once a small fishing village and during the last century home of many famous British artists. I had been there at least once before, so this time we focussed on the new Tate Gallery, opened in 1993. They had a special exhibition on Patrick Heron’s Garden Paintings. Most of the paintings didn’t really speak to me, except for two by Picasso and Braque respectively. In the end, my favourite piece of art was the building itself, although I didn’t manage to capture this in my photographs. 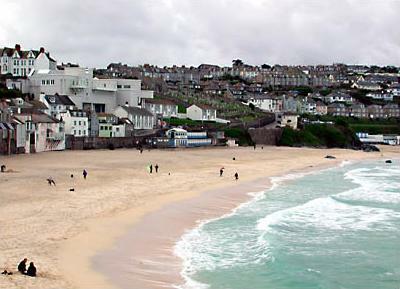 We left St. Ives and followed Cornwall’s northern coastline on B3306. A few miles before St. Just, we stopped at Geevor Tin Mine. Archeological evidence suggests that the Geevor area has been mined for at least the last 1000 years. 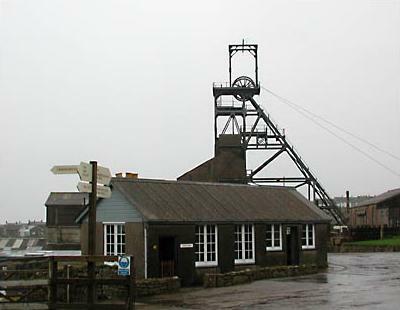 The modern mine was started on a small scale in 1911 by Cornish miners returning from South Africa due to the Boer War. By 1920, work on a new principal shaft was well under way and over time, the mining company acquired and expanded into neighbouring mines. The mine actually extends out under the sea for about a mile. In 1985, the world tin market collapsed with prices dropping by about 70 per cent, eventually forcing the mine to shut down in 1990. The pumps were turned off and the underground works are now flooded to sea level. 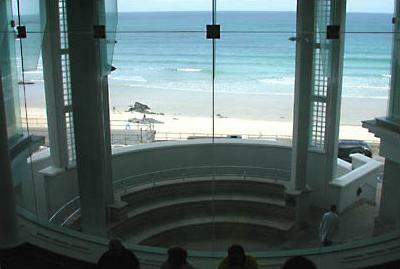 In 1993, the site was reopened as a museum. The modern mine has obviously become inaccessible, but you can still take a tour of a medieval mine. After exploring the surface plant and taking the tour of the medieval mine, we had a cup of tea in the cafe. I would have liked to follow the coast line to Porthcurno with a stop at the Minack open-air theatre, but the rain and wind were getting too strong, so we decided to head back to our hotel.